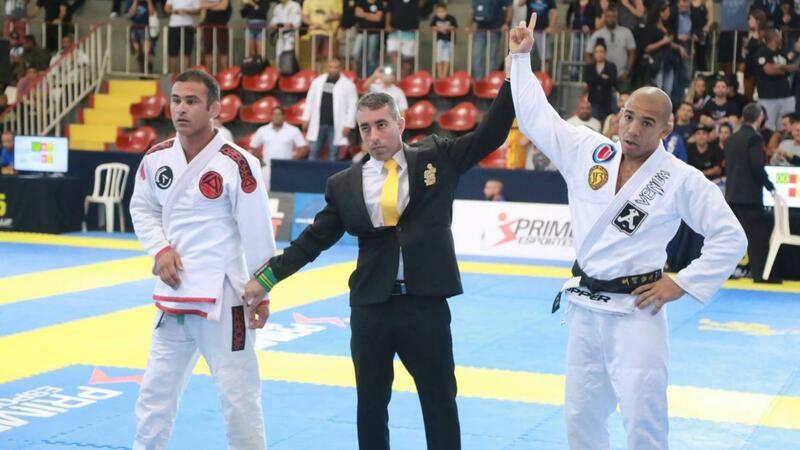 Jiu-jitsu.News: Former UFC Champion Jose Aldo Competes In The Gi! Competing for the first time since falling short in a massive UFC title fight with Max Holloway in June, Jose Aldo shed his fight shorts and gloves for a gi! The former UFC Featherweight Champion competed on Saturday in the Master 1 black belt lightweight category after a challenge from Nova Unaio teammate Hacran Dias. The Master International IBJJF Jiu-Jitsu Championships takes place in Rio De Janeiro, Brazil, and boasted a massive competitors list. Aldo himself had 37 other black belts in his division. It would have taken five matches to win gold. Aldo started off strong winning his first two matches of the day. His first matchagainst Thiago Araujo Mariano was a razor thin contest that Aldo won by two advantages. Aldo dominated his second match but came up short in a close 3rd match. His opponent Antonio Crivelari of CheckMat received a late advantage for a wrist lock attempt that proved to be the difference maker in a mostly standup battle.